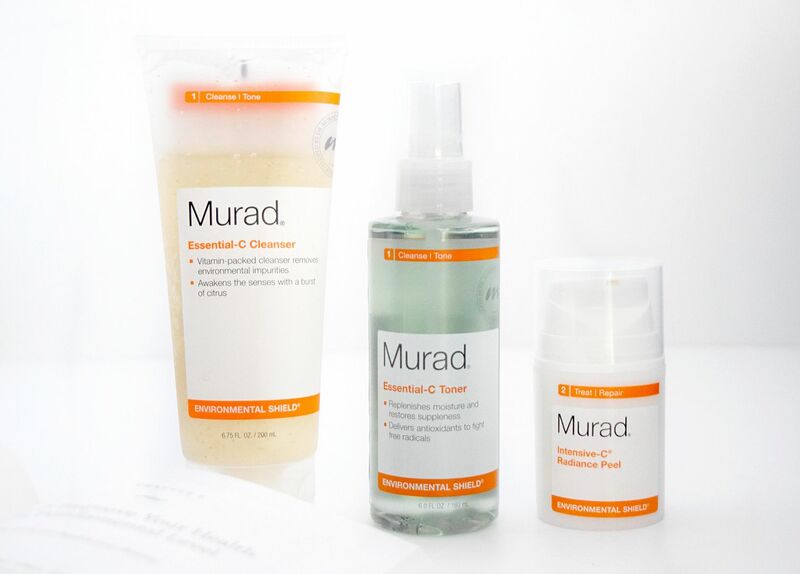 As you might be aware I’m a big fan of Murad skincare and so as I headed into 2016, I thought I’d try out one of Murad’s other ranges I hadn’t really dabbled with, the Essential-C. I have already tried the Essential-C eye cream which is a lovely eye cream and a great one for protecting the eyes as it has SPF. The Essential-C range is the perfect range for starting off the new year, after all the drinking and partying your skin can really get hit hard, so the range looks to brighten, replenish moisture, add radiance and protect against environmental impurities. It really is a repair range and gets your skin to its best you. This is a really lovely feeling gel cleanser and feels so soft on the skin. 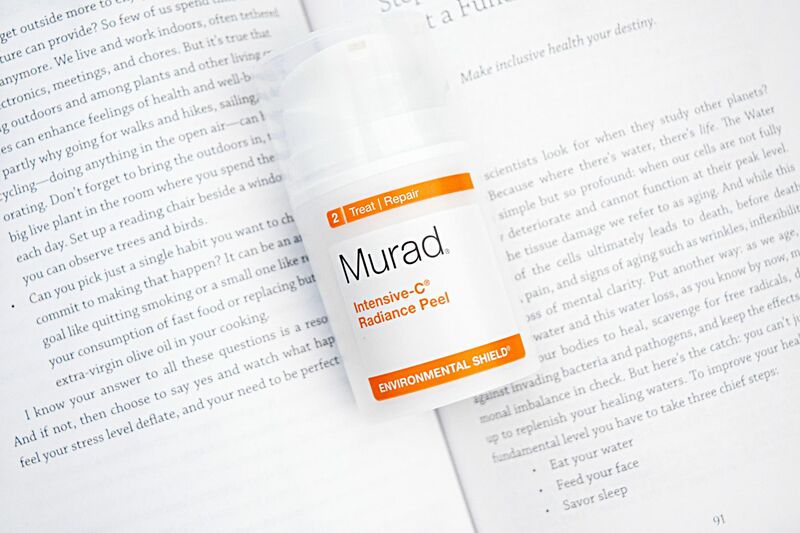 It’s packed with a vitamin cocktail of A,C and E to help protect skin from free radicals and give environmentally damaged skin an antioxidant boost. Moisture is added from the sodium PCA and Allantoin soothes environmentally stressed skin, promoting a healthy complexion. This is a great one to use in the morning or in the shower as it has a citrus smell, great for a wake up feeling for tired skin. A vital skincare step, use toner to give your skin balance, restore moisture and prep skin for further treatments, such as your moisturiser or serum. Again it has vitamins A, C and E to provide skin essential vitamins and nutrients, whilst the witch hazel will help minimize pores without drying out the skin. I found this really refreshing and so nice after using the cleanser. If you skin is looking dull or dehydrated after the festive period then this peel will give it the lift it needs. The peel has glycolic acid to remove skin’s dullness and improve skin texture, which in turn gives it that much-needed glow and brightness. Vitamin C and indian fig protects against free radical damage whilst myrtle extract supports collagen production. Leave this on for about ten minutes, you might feel a slight tingle, but that’s normal and rinse off with a warm cloth. This is a real pick me up product and my skin always feels like it’s been brought back to life after it. Use it 1-2 times a week, my skin is very sensitive and the glycolic is not harsh at all and didn’t cause my skin to go red or act badly to it. 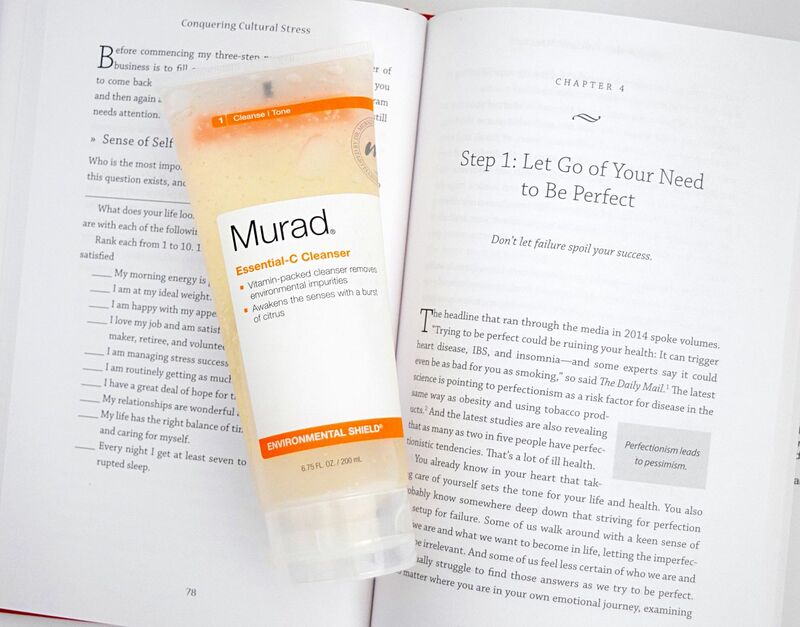 As well as adding in these products I’ve also finally got round to starting Dr.Murad’s book ‘Conquering Cultural Stress’ which I picked up quite a while ago now at an event. I’ve been meaning to read it for so long, but always get distracted. So new year, new me as the saying goes and I am going to try to read and travel more. So with that said I am off to Barcelona this week and this book will be coming with me so I can read it on the journey. As well as travelling, I also want to combat stress too, I do suffer from it and can get quite easily stressed out, which in turn can be a bad affect on your skin. Dr Murad’s book is full of helpful tips on how to combat it and also lead a healthy lifestyle so I can’t wait to read it. One of my favourite parts is the 365 statements to say to yourself throughout the year, as it’s the fourth today I thought I’d share with you number four, ‘Healthy skin is a reflection of overall wellness’, which I thought was pretty apt going by what I was talking about. Overall wellness is definitely my main aim for 2016. Next ArticleCan The Dyson Humidifier Improve Your Beauty Sleep?